HAND MADE is a very fulfilling concept for me. It allows me to express my self in a very organic manner, it nurtures patience and gives me an extreme sense of accomplishment. 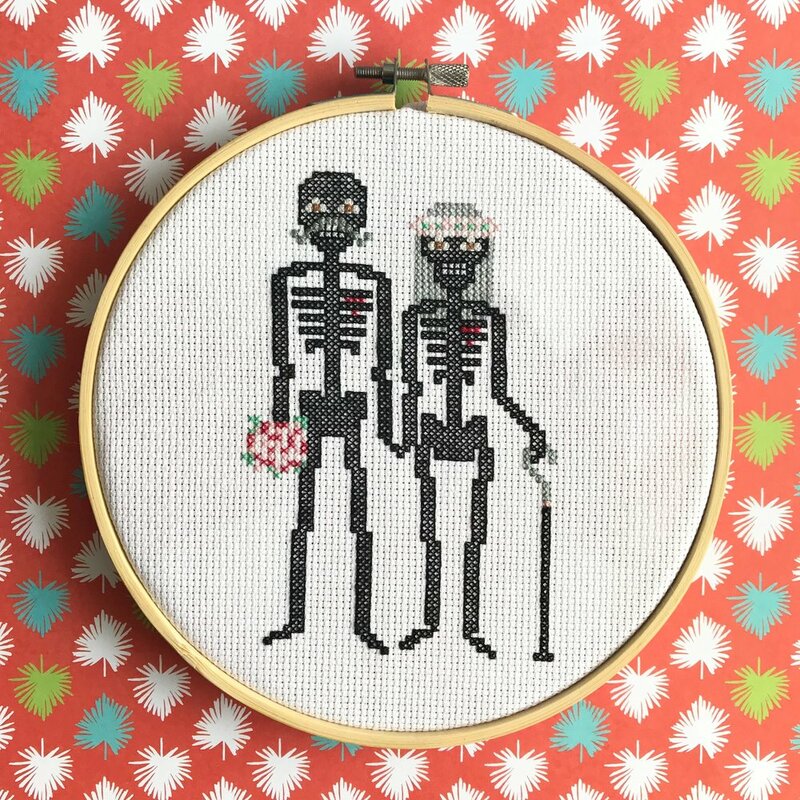 What do you specialize in within the handmade goods/ crafting world? 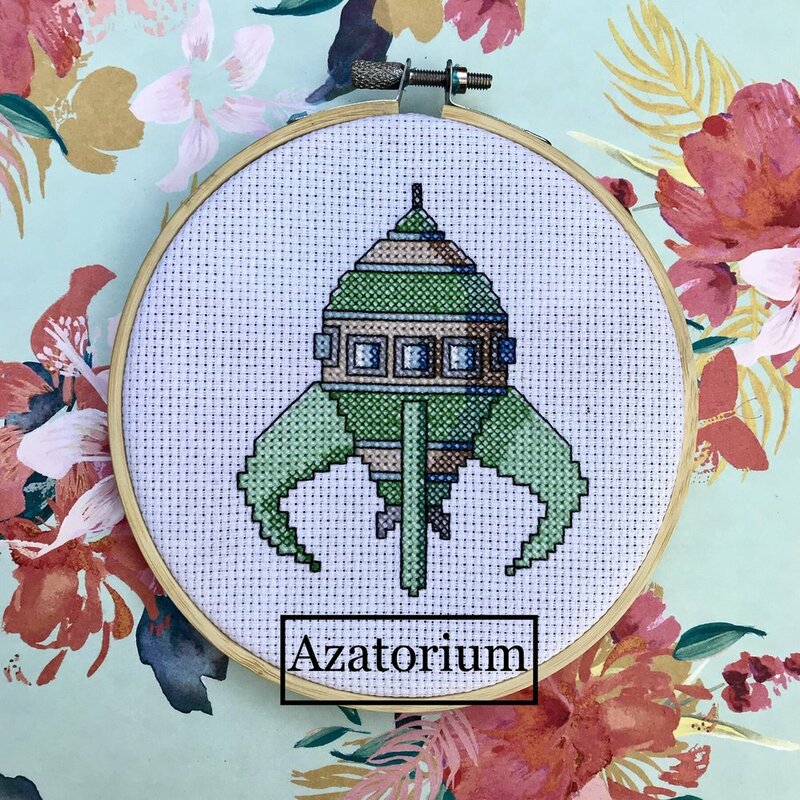 Azatorium specializes in creating modern cross stitch art design in the form of DIY kits and finished products for all the craft lovers out there. I think I was a maker even before officially becoming one. Having a background in Interior Decorating, I was always surrounding my self with visual arts and crafts, from drafting to knitting and stitching... officially becoming one seemed just a natural next step. Describe your artistic community and how you think people in your community see you. The artistic community in Toronto is a large, very tight-knit group of talents who support and encourage one another. It is as special as the people who love and support your creations. They are a great drive for me to keep the creativity flowing. It is a wonderful feeling to be considered one of the artists! I hope they perceive me to be as worthy and talented as I consider them to be. "Canadian Made” on a product sounds so wonderful. It gives a little push to your decision buying process. I strongly believe that the local art scene is is so strong because the people behind it are truly talented and are trying to do something good for the community and the planet. Shop AZATORIUM at NookFEST Community Arts and Music Festival!